If it’s not broken don’t fix it, right? Despite technological progress, it’s not uncommon for construction companies to still rely on spreadsheets, manual data entry, and paperwork. Low IT budgets and lack of time for training have contributed to a hesitancy around adopting new methods and technology. Emerging construction technology isn’t just a fad or a fun new toy. There are real, practical applications and benefits to modernizing your current processes. And if your construction company wants to remain competitive and not be left behind, you’ll need to find ways to integrate new approaches into your strategy and workflows. These cutting-edge technologies are drastically changing how the industry operates and how future projects will be completed. Mobile technology isn’t just for games anymore. Apps are becoming more of the norm in construction, and for good reason. The increased portability of tablets and smartphones allows for greater communication and the ability to work from anywhere. Integrating this type of technology into your current processes can be much simpler and require a smaller upfront investment while still providing major benefits and boosting productivity in your day to day operations. So if you want to start implementing technology, this is a good place to start. Mobile technology can help to save time and keep your project moving forward faster by providing real-time updates and making information available between the job site and the office. You can easily access the latest revisions to plans or report a problem to the project manager off site. 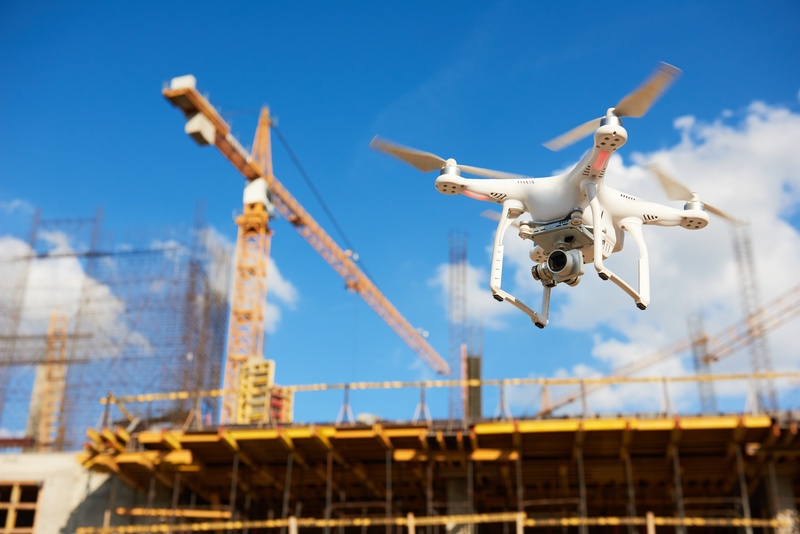 Drones are the most widely used emerging construction technology. They can conduct site surveys more quickly and accurately than a crew on the ground and are cheaper than aerial imaging. Their high resolution cameras and the data collected can create interactive 3D or topographical maps and models, and take volume measurements. BIM is similar to CAD (computer aided design), but not exactly the same. It is software for 3D design to digitally model what will be built. 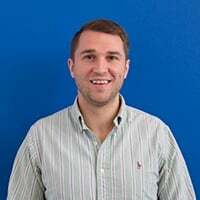 But it’s capabilities don’t stop there: “It doesn’t just create a visually appealing 3D model of your building—it creates numerous layers of metadata and renders them within a collaborative workflow,” writes Engineering.com. It captures things in a way that paper just can’t. 32.7% of builders are currently using BIM/CAD software, JBKnowledge reports in their 2016 survey. The use of BIM has even been mandated in the UK for government construction projects. The use of BIM provides space for better collaboration because each person and expertise area can add their piece to the same model, instead of broken out onto multiple versions of a 2D paper drawing. This way, the model evolves immediately as people contribute, streamlining the process and increasing efficiency. BIM also helps with problem solving in the design and planning stages of a project, by automating clash detection and providing a more complete picture of the project. Wearables are a construction technology that will have an impact on job site safety and risk management. The Daqri smart glasses, though still in the early stages, are one example. The glasses have an augmented reality display, wide-angle camera, depth sensor and other features that allow workers to collect and see data based on their environment. The glasses give workers the information and instructions they need to complete a task right on the display, getting the job done faster and with less room for error. 3D printing as a construction technology has the potential to change material sourcing. For prefabrication, materials for a project can be printed and then transported to the job site, ready for use immediately. This can allow you to get materials faster and streamline the process by removing extra steps in the middle. One of the current challenges with adoption of this technology is limitations with mass production. Although some 3D printers can produce on a larger scale, they are expensive. The construction industry is already seeing implementation of artificial intelligence on the job site with the use of robotics for tasks like bricklaying and autonomous equipment that can operate and complete tasks without the need for human interaction. AI can benefit construction projects through increased safety, improving workflows, and getting jobs done faster and better. “AI can replicate the judgments, decisions, and actions of humans without getting fatigued,” said Dan Kara of ABI Research. It can also identify when information or pieces are missing and ask questions, and use the data it collects.